The section dedicated to Galakta Games is updated with the next two games coming in the line, to be released in December 2017. 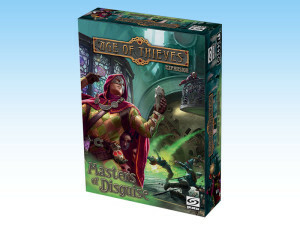 The party game Wanted: Rich od Dead and Age of Thieves: Master of Disguise, first expansion for Age of Thieves. 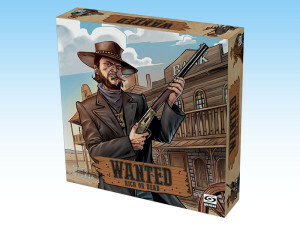 Wanted: Rich or Dead is a game where players are infamous cowboys who came to Dodge Town to get rich fast and easy way. The town is too small for five cowboys and only one will be standing at the end of the day with a stash full of dollars, after winning a shootout. 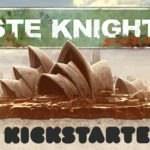 "Master of Disguise" adds to the the low-fantasy board game of strategy and adventure Age of Thieves two new characters, Julien and Delilah, each with unique actions and abilities, new components and rules, and a brand new Scenario, giving to players lots of variants to enrich their gaming experience. 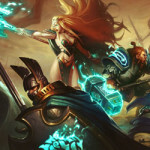 To learn more about the upcoming new games, visit the Galakta Games section.